Those of you who read the previous edition of the Cable were treated to the fascinating history of Maiden Lane synagogue’s Bancroft Road burial ground in Mile End and its sad decline to the present neglected condition. Subsequent to this, one of my website correspondents wrote to ask if I could throw any light on a serious assault at the burial ground in 1826 that his great great great great grandfather Isaac Alexander was involved in. 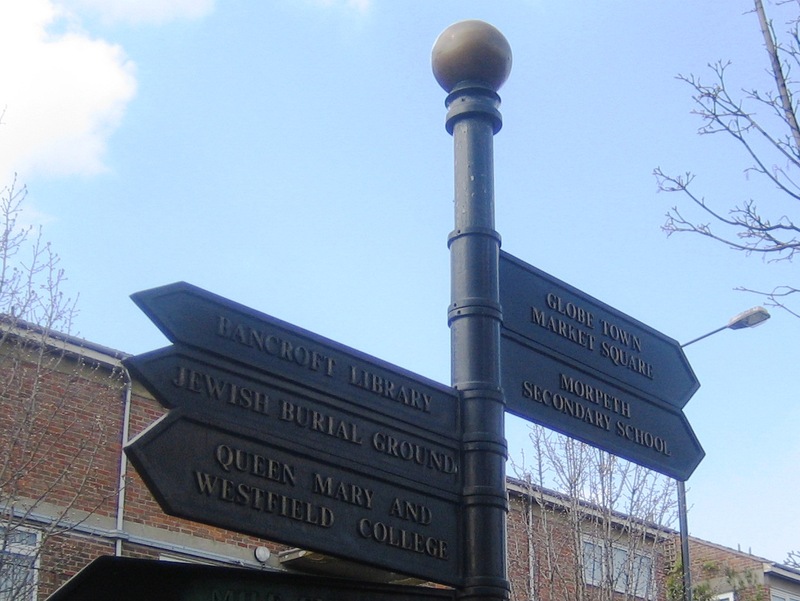 Modern Signpost in Bancroft Road pointing the way to The Jewish burial ground - scene of dastardly deeds in 1826! Following submission of the above evidence, arrest warrants were issued for Asher Sampson, Isaac Alexander, Hyam Hyams, Simon Solomons and Henry Moss. An Abraham Collis was reported as giving evidence against Mr Woolf and Alexander senior. Alexander’s son Isaac Alexander was described in the court report as a synagogue leader and was in fact the reader of Queen Street synagogue, the synagogue which had founded the Globe Fields burial ground. Queen Street became insolvent in the same year as the assault and its assets were auctioned to pay its debts. Three years later this community reappeared at 21 Maiden Lane and it inherited responsibility for the burial ground. Arthur Barnett’s book ‘The Western Synagogue Through Two Centuries’ reports that Abraham Collis was secretary of Maiden Lane synagogue from 1837 to 1844. He died aged 83 in1860 and is buried in Bancroft Road. Arthur Barnet goes on to say that Hyam Hyams lived in Dean Street and was on the 1820 founding committee of Westminster Jews Free School. 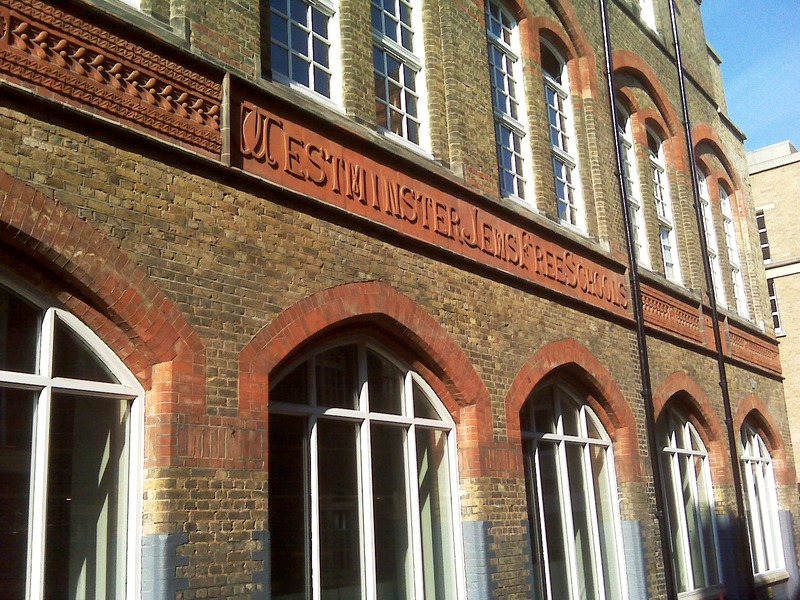 Facade of Westminster Jews Free School, Hanway Place, London. Hyam Hyams was one of the founders...and a criminal! Who knows what rivalries may have played out between the 1826 insolvency of Queen Street and the community’s reappearance at Maiden Lane in 1829, and did rivalry drive seemingly respectable men to violently break into the burial ground that their community had originally founded? I guess we will never know the answer.